Work-based learning is an educational approach that, by design, links learning in the workplace to learning in the classroom. To engage students more fully and to intentionally promote their exposure and access to future educational & career opportunities. These Work-based learning experiences help students to increase their knowledge of careers and develop skills that will be transferable to their future career. There is a sequence of work based learning activities that starts with low-intensity experiences that help students to think about careers and gradually progresses into more in-depth, intensive experiences that include opportunities for hands-on learning. The 2018 Summer Exploration is based upon Project Based Learning (PBL) a development method in which participants gain knowledge and skills by working for an extended period of time to investigate and respond to an authentic, engaging and complex question, problem, or challenge. To support a real world experience, specific projects/assignments will be delegated from beginning-to-end and all participants will be active team members with HCSA staff. The County of Alameda will be using the Gold Standard PBL: Essential Project Design Elements to ensure a meaningful internship experience. · Key Knowledge, Understanding, and Success Skills - The project is focused on student learning goals, including standards-based content and skills such as critical thinking/problem solving, collaboration, and self-management. · Challenging Problem or Question - The project is framed by a meaningful problem to solve or a question to answer, at the appropriate level of challenge. · Sustained Inquiry - Students engage in a rigorous, extended process of asking questions, finding resources, and applying information. · Authenticity - The project features real-world context, tasks and tools, quality standards, or impact – or speaks to students’ personal concerns, interests, and issues in their lives. · Student Voice & Choice - Students make some decisions about the project, including how they work and what they create. 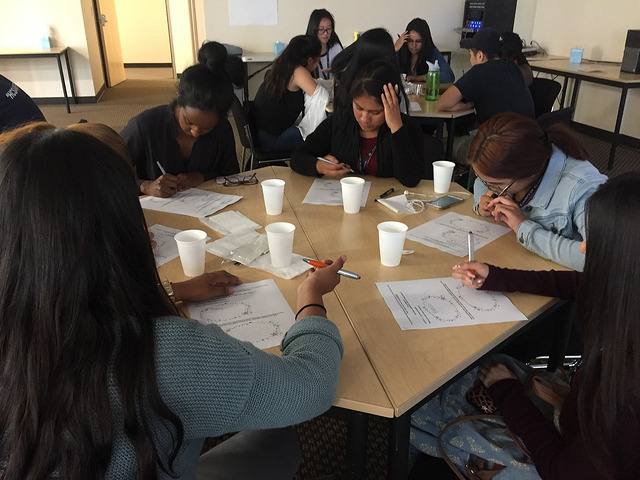 · Reflection - Students and mentors/supervisors reflect on learning, effectiveness of their inquiry, project activities, the quality of student work, obstacles, and how to overcome them. · Critique & Revision - Students give, receive, and use feedback to improve their process and products. · Public Product - Students make their project work public by explaining, displaying, and/or presenting it to people beyond the classroom. Adapted from Setting the Standard for Project Based Learning: A Proven Approach to Rigorous Classroom Instruction, by John Larmer, John Mergendoller, Suzie Boss (ASCD 2015).